Firsts should be celebrated. 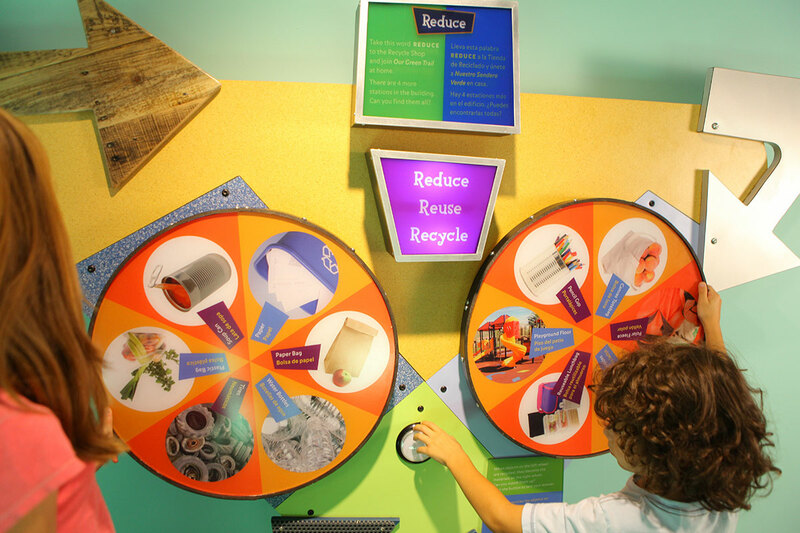 The Boston Children's Museum has the honor of being the first LEED certified museum in Boston and one of only a handful of Green museums in the country. 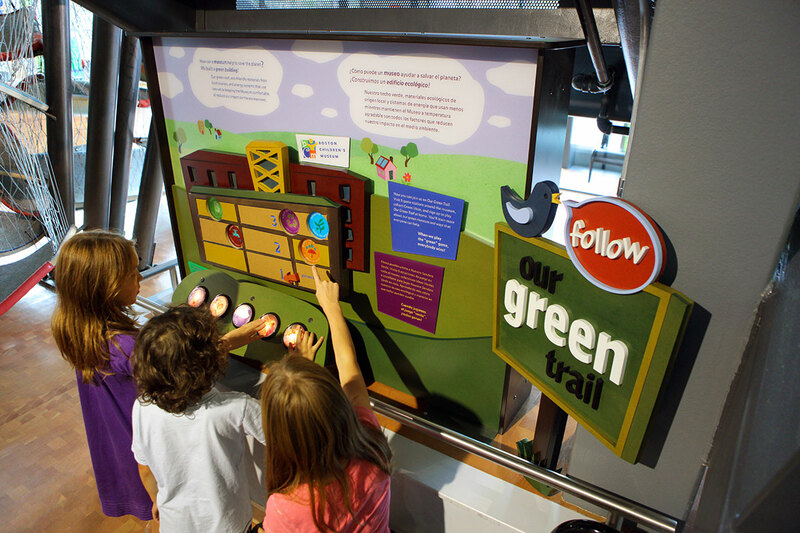 What better way to celebrate than by creating an exhibit that both highlights the green aspects of the Museum while teaching kids how to make their own homes and world a greener, cleaner place to live? 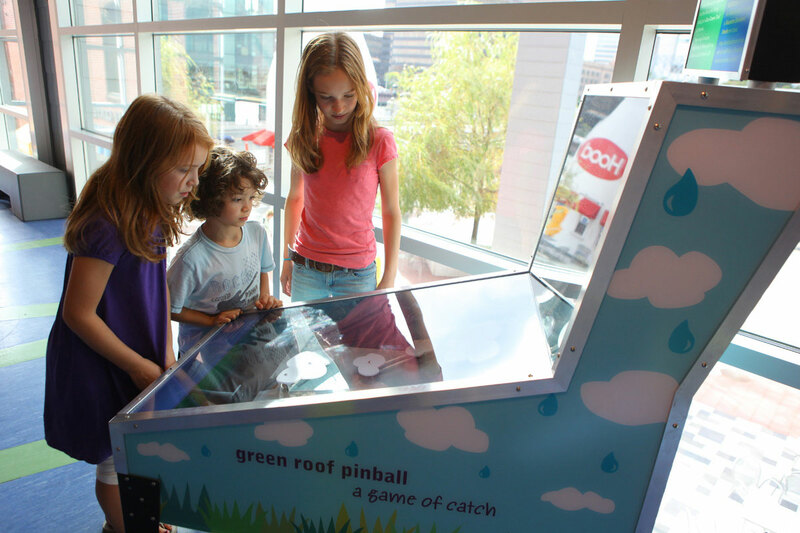 Comprised of an introductory panel and six stations, each station focuses on a particular green aspect of the Museum building by pairing interactive games with interpretative content (hello, pinball machine!). 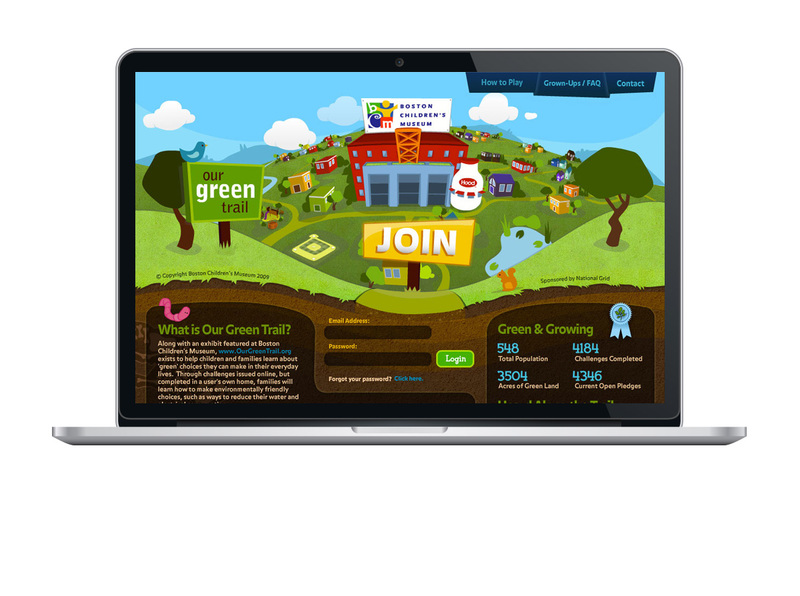 Theory One consulted on every step of the planning, design, and construction phases.